The joy of seeing repeat customers is so wonderful. I love it! And today those repeat customers were also diehard fans. 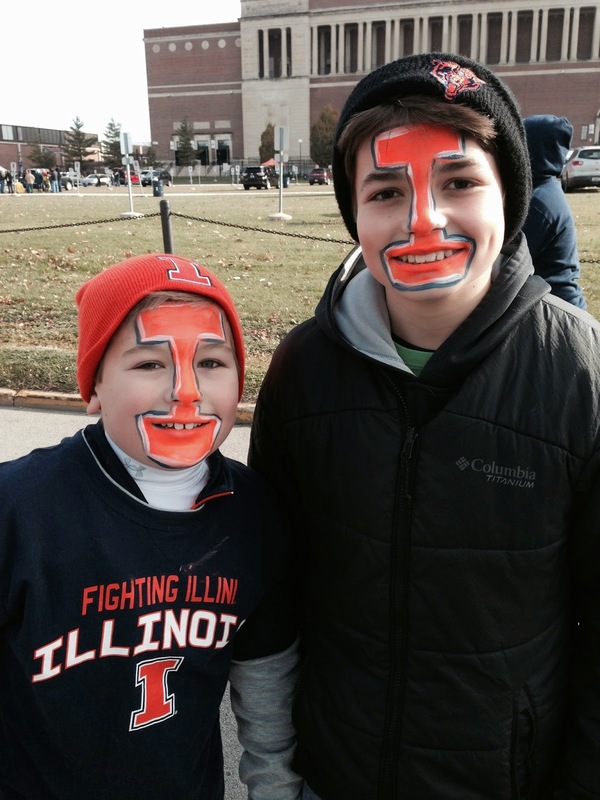 They were ruddy, tough diehard football fans of the University of Illinois football team. These fans, both young and old, came out in the freezing cold temps to cheer on their Illini team as that team battled the Iowa Hawkeyes. On Wednesday nights in Champaign, Illinois there is an exceptional place that specializes in serving up excellent quality food and great times for kids. Atlanta Bread Company is their name and every Kid’s Night they offer buy one adult meal and get a kid’s meal for free. In addition, on select kid’s nights Atlanta Bread Company (ABC) provides extra activities to liven up the atmosphere and increase the fun. 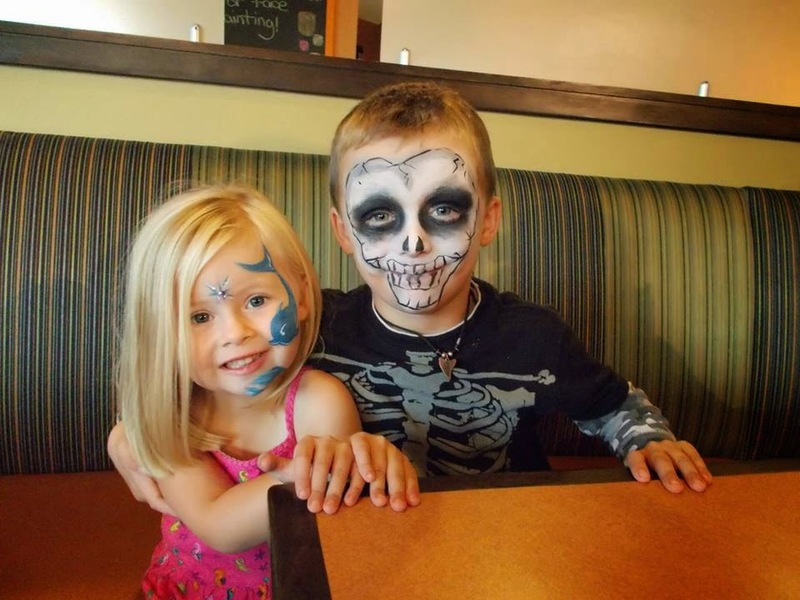 I am so happy to say that The Joy of Face Painting has been chosen several times to come and provide free face painting. To be quite honest, after having painted for them for several months now, I am so amazed to be a part of such a wonderful group of people. These are some of the friendliest, most genuine and all-out kind folks that I have ever run across. Their professional yet loving demeanors never cease to amaze and make me proud to work for this great local company.